Most people grind their teeth occasionally, whether they realize it or not. Fortunately, periodic teeth grinding causes no lasting damage to the teeth or jaws. It’s only when the teeth grinding becomes a habit that it also becomes a cause for concern. Medically known as bruxism, chronic grinding of the teeth can lead to long-term oral health complications such as wearing the tooth down to a stump, cracked or fractured teeth, loose teeth, infection, and more. These problems increase the likelihood of major dental interventions such as tooth extraction, root canals, dentures, implants, bridges, and crowns. Perhaps you can relate to the feeling of experiencing so much stress that you instinctively grind your teeth as a means of coping. In fact, stress is the top reason that people develop this habit in the first place. It can also develop due to existing problems with your teeth and jaws such as crooked teeth, missing teeth, or a bite that doesn’t fully come together. Sleep apnea is a leading cause of teeth grinding as well. The term sleep apnea refers to not breathing for up to several seconds during sleep. This can happen hundreds of times every night without you being aware of it. People who have a pre-existing partial blockage of their airways during sleep are at an especially high risk of developing the habit of teeth grinding in response to it. The acting of grinding the teeth is useful in this case because it re-opens the airways and the sleeper starts breathing again. Even so, it causes other issues that can be just as problematic. When you have bruxism, the act of teeth grinding typically occurs while you’re in a deep sleep and not aware of what is happening. If you sleep with a partner and feel concerned that you could have this condition, ask if he or she has noticed anything unusual. Some other typical signs of bruxism include frequently waking up with a headache or sore jaw. The best way to find out if you grind your teeth and if it’s causing you harm is to schedule an appointment at Comeaux Dental Group. Dr. Comeaux, Dr. Liska, or Dr. Stonestreet will inspect your teeth and jaws for signs of damage and speak to you about treatment. If you don’t have the condition, we will give you tips on how to prevent it. When we discover damage due to teeth grinding, we usually recommend that the patient wear a custom night tray or mouthguard. This helps to prevent further teeth grinding as well as allows for a good night’s sleep. If the primary cause of your bruxism is stress, we recommend that you eliminate as many sources as possible or seek help managing it through counseling, yoga, physical therapy, or whatever you feel will work the best. Of course, we understand that every patient is unique and that not all solutions will work for everyone. Please contact us with additional questions or to schedule an appointment at your convenience. If you have any questions for us or if you’d like to schedule an appointment with any of our three dentists, please contact our office. Thank you for your confidence in our practice and for allowing us to provide your dental care. Comeaux Dental Group is committed to providing the best dental care possible for you and your family in a compassionate, caring environment. 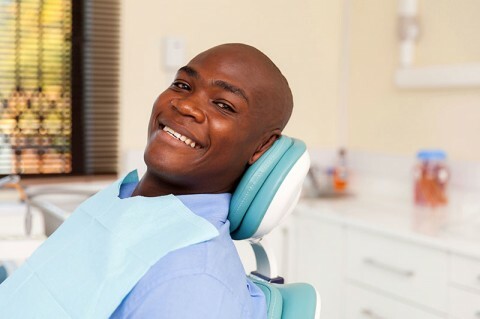 We want to help you maintain your oral hygiene in a way that will keep your teeth and mouth healthy and create smiles that patients feel great about for a lifetime.